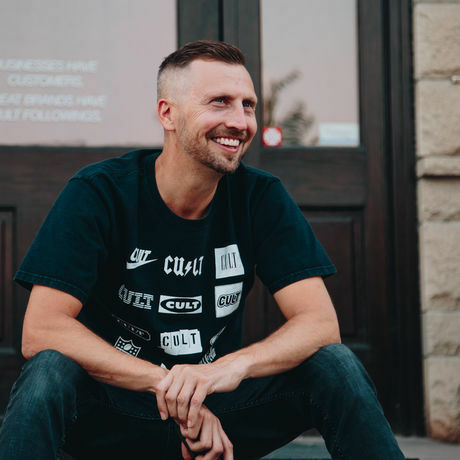 Ryan Gill speaks honestly about his keys to success through building community, connection and confidence. Ryan Gill is a self-made, successful entrepreneur and mentor who has lead a career of abundance through community, trust, transparency and sharing. How do you define creativity and apply it in your life and career? For me, creativity is an original thought or idea and then putting it into action. That last part - action - is very important. And, sometimes, it’s gotta be big and bold. Like when we named our marketing engagement agency CULT - some people thought we were crazy, but it’s paid off big time for us. We only wanted to work with companies that desired a “cult-like” following, and we found them - or should I say, they found us. I’m a connector and I’m a starter, so my creative juices really get going when I see, meet and engage with people who can help me carry out all the big ideas swirling around in my head. Where do you find your best creative inspiration or energy? I love to read, so I’m always reading books about entrepreneurs, startups, cryptocurrency, etc. I also love the energy of entrepreneurs and culture makers like Joe Rogan, urban monk Jay Shetty, and Casey Neistat. I’m influenced by rap culture. I’m a rap geek, and i’m close friends with the leadership at The Fader out of Brooklyn NY…which helps keep me close to the culture globally when it comes to urban music. Most often, creative ideas come to me when I’m in a room with my talented team who challenges every idea brought to the table and draws out the best in all of us. What’s one piece of creative advice or a tip you wish you’d known as a young person? VULNERABILITY IS COOL. I wish I’d known that it’s ok to ask for help. For some reason, we’ve been hard-wired, especially as men, to think that we need to make things happen and get it all done by ourselves. When you do that, you end up feeling very isolated, anxious and alone - I know because it happened to me.. And sometimes still does. And then, if or when things don’t go as planned and you fu&* up, you really feel like a failure. We’re all so hard on ourselves, but it doesn’t have to be that way. I’ve learned, and it’s taken me a while, that surrounding yourself with community and finding a mentor is so valuable. Yes, we’re all going to experience failure and hardship, but you can’t let it break you. It’s all about how we handle the hard times and channel that energy into moving forward that counts. Who (living or dead) would you most enjoy hearing speak at CreativeMornings? I love Brené Brown and I could listen to her all day. We invited her to speak at The Gathering (my global event) last year, and she accepted. We were thrilled. She has re-defined vulnerability and I, personally, have gotten a lot out of her books and talks. I’d also like to hear psychologist Jordan Peterson speak. He can be very controversial, and I don’t always agree with what he has to say, but I really admire his desire to provoke thoughtful discussion and debate. His views aren’t always popular, but he’s definitely hit a nerve when it comes to gender politics, millennials and freedom of speech. What fact about you would surprise people? A lot of people don’t know that I was very sick as a child and spent the first couple years of my life in and out of the hospital. It was hard on my family to say the least. I also dream of owning an NHL hockey team one day. The St. Louis Blues have always been my team, but who knows what opportunity will transpire when the time comes. Who has been the biggest influence on your life? What lessons did that person teach you? My dad has had a huge impact on me and my three brothers. We were a large family and lived a very modest life in Brockville, Ontario. My dad was a mailman and worked really hard to support our family. My mom was a stay-at-home mom and worked odd jobs. We didn’t have a lot, but we had love and community. How does your life and career compare to what you envisioned for your future when you were a sixth grader? When I was in grade six, I was collecting and selling golf balls from the course near our home. I was also trading sports cards with my buddies. I really had no idea where life was going to take me, but I showed an entrepreneurial spirit early on. I just had zero idea I would one day end up working with world-class brands like Harley Davidson, Keurig, Home Depot and Vans. I’m grateful.